No Sweetness Here, Ama Ata Aidoo's early volume of short fiction, is now available in the U.S. Set in West Africa, these stories chart a geography of consciousness during a period of transition from a colonial society through independence into a postcolonial world still in progress today. The characters-as many men as women come alive on these pages-enjoy good fortune and suffer pain in a tradtional African manner: through brilliant, witty, defiant, image-laden speech. The style of these stories renders African orality dramatically; characterization emerges as much through the unique voice as through physical appearance. The special strength of these stories lies in Aidoo's sensitivity to men's as well as women's lives. Sometimes one can feel even more compassion for the men who are often set in ways counter-productive to living in an African-controlled but tightly-hierarchical society. Even the most critical consciousness-the Western-educated African living abroad or returning home-sometimes doesn't "get it," for the changes are too vast, the future too uncharted. The title story suggests more than meets the eye. If there is no "sweetness," there is the salt essential to life, even if it comes from tears, and the strength that comes from a history of endurance. There is also the wit of the word and the compassion of family and friends. The volume is at once entertaining and deeply instructive not only about a changing Africa, but about such universal themes as love, marriage, work, family, sacrifice, privilege, and hierarchy. Great read for those interested in Ghanaian culture and life. Very insightful for those of us children born to Ghanaian parents in the States on what Ghana life and culture is like. Much like Arundhati Roy (in "God of Small Things") and Sandra Cisneros (in "House on Mango Street"), Ama Ata Aidoo often uses the experiences, expectations, and disappointments of children to paint the portrait of a culture and a community. It's not a novel literary device, but in the hands of the right craftswoman, one that can be used to great affect and Aidoo doesn't disappoint. The book includes eleven short stories and a fine, if superfluous, afterword by Ketu Katrak. Tales depict Ghanaian life at onset of independence. A young man leaves his village in rural Ghana to look for hissister, Mansa,in the capital. The last time the family saw her wastwelve years ago when she was only ten. Arriving in Accra, the brother looks up Duayaw, a fellow villager, who was his sister's classmate in grade school. Duayaw thinks he's on a crazy mission. Where are they going to find her? Now at the age of twenty-two, she could even be married. The city-wise Duayaw actually suspects worse but being the polite host, he complies. 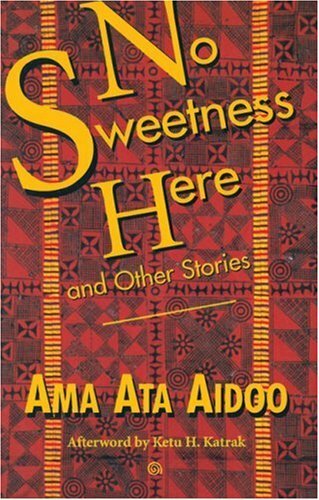 "In the Cutting of a Drink" is one of eleven short stories in No Sweetness Here and Other Stories by Ama Ata Aidoo, a Ghanaian writer. Aidoo's novel, Changes, won the 1993 Commonwealth Writers Prize for the Africa region. No Sweetness Here was originally published in the United States by Doubleday in 1971. But it first appeared the previous year through Longman of Britain. The last Doubleday printing was in 1972. It was re-issued by the Feminist Press, the world's oldest continuing feminist publisher, which is primarily concerned with restoring important out-of-print historical and literary works by women. On the surface, "In the Cutting of a Drink" is a simple story. But a lot takes place. It demonstrates well the talent possessed by Aidoo who has also written poems and plays and served as Ghana's minister of education from 1982 to 1983. The story is narrated by Mansa's brother to his immediate family, other relatives, and some villagers. Aidoo cherishes the African oral tradition and in the tale the burden rests entirely with her narrating character. 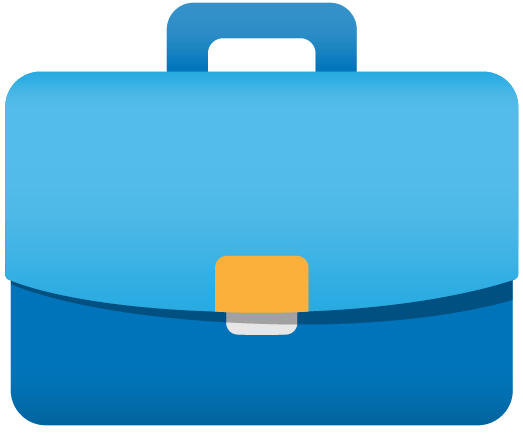 He must sustain his audience's attention and he succeeds. The result of his search is withheld till the end. His amazement of the city sounds exaggerated by today's standards but one has to keep in mind that Aidoo wrote the stories during the decade after Ghana's independence from Britain in 1957. To rural folk, Accra held novelty. "Each time I tried to raise my eyes, I was dizzy from the number of cars which were passing," the narrator explains. At another point he describes his experience while walking along the streets at night with Duayaw: "The whole place was as clear as the sky. Some of these lights are very beautiful indeed." Such descriptions, while captivating to the villagers, are nevertheless delivered in a tone that depicts the city as a crazy place. When No Sweetness Here was first published, there were already troubling political developments in Ghana. The country, which holds a unique place in the sub-Saharan region for being the first to gain independence, had a military coup in 1966. Its first civilian president, Kwame Nkrumah, the pan-Africanist and pioneering statesman, was toppled. Taken as a whole,these short stories therefore grapple with the social challenges of the first years of independent rule in the country. Ghanaians, like most Africans, were in between the end of colonial rule and a new nation in the making. Villagers arrived in the city in search of new opportunities. Young Africans--a small elite--returned from western universities and moved into the offices and residences vacated by the British. And corruption by the new public officials began to get noticed. In tackling these issues, Aidoo is a refreshing alternative in the African literary field which is dominated by men. One gets intriguing glimpses of Ghanaian women encountering everyday joys and tragedies. The short stories in the book are really a listening experience. One is either listening to a monologue or conversation depending on the number of narrators. The strength in Aidoo's emphasis on the oral skills of her characters is that they have a lot of room to be themselves. They pronounce words as some people actually do in Ghana. They say "Klase Tri" for "Class Three," "Chicha" for "Teacher," "Kudiimin-o" for "Good evening" and so on. For the unfamiliar reader, the stories can pose a challenge for one must scramble to learn and visualize the Ghanaian setting. The narrators often don't provide any background--they just start unfolding their tales. The book's afterword, written by Ketu H. Katrak, a professor of English at the University of Massachusetts, Amherst, is useful for it provides some context. Today, words and phrases like "highlife," "nation-building," and "white man's land," which are used by Aidoo, sound slightly archaic though they were in vogue during the heady days of independence. Reading No Sweetness Here is to journey back to a period when Africa was supposed to make a fresh start, a period that now feels far away.